KEAM 2019: The admit cards for KEAM 2019 will be released today. The students who have filled the application form can download the admit card from the official website, cee.kerala.gov.in. 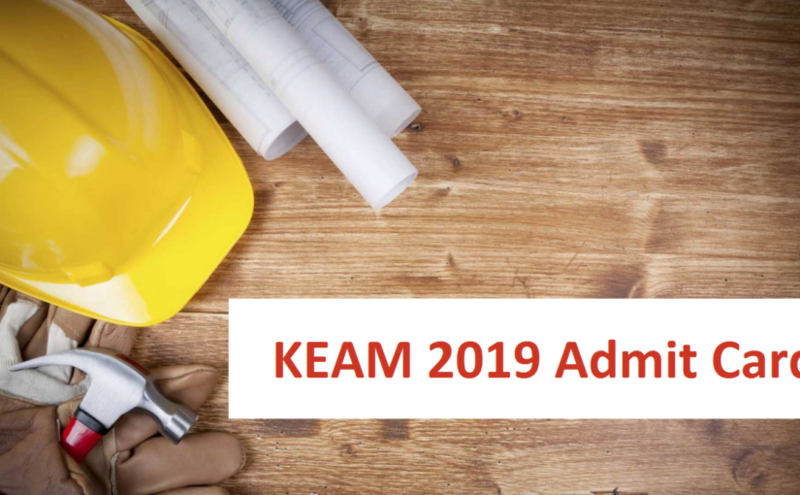 KEAM 2019: The admit card or hall ticket for the Kerala Engineering, Architecture and Medical and Pharmacy Courses (KEAM-2019) is going to release on Tuesday, April 16, 2019. The candidates who have filled the application form are supposed to download there respective admit cards from the official website, cee.kerela.gov.in after 5:00 pm. Candidates need to take a printout of the admit card at the time of examination. As per the exam authority, no admit cards will be sent to the candidates by post. The Office of the Commissioner for Entrance Examination will organise the KEAM 2019 on May 2, 2019, and May 3, 2019. Initially, the entrance exam was to be held on April 23, 2019, across 14 district centres situated in Kerela, Dubai, New Delhi and Mumbai but now the exam date is revised due to the Lok Sabha elections 2019. Step 1: visit the official site, cee.kerela.gov.in. Step 2: Tap the link saying admit card. Step 3: Enter the required details in the mentioned fields. Step 4: Tap the submit button. Step 5: The admit card will appear on the screen. Step 7: Take a print out of the admit card and keep it with you for future reference. The exam consists of 120 questions in each paper and the time allotted to complete the exam is 2 hours and 30 minutes. for every wrong answer, one mark will be deducted. KEAM is conducted for admission to medical, veterinary, forestry, agriculture, pharmacy and engineering courses. In case of any complaints related to the details displayed on the profile page, the candidates are supposed to send their complaints with supporting documents to the office of Commissioner for Entrance Examination, 5th Floor, Housing Board Buildings, Santhinagar, Thiruvananthapuram before the allotted date.